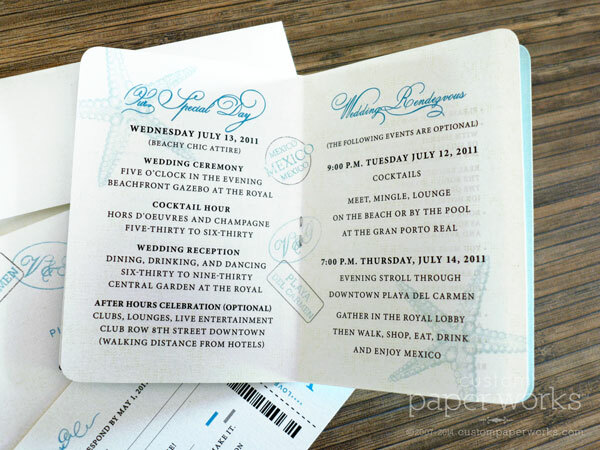 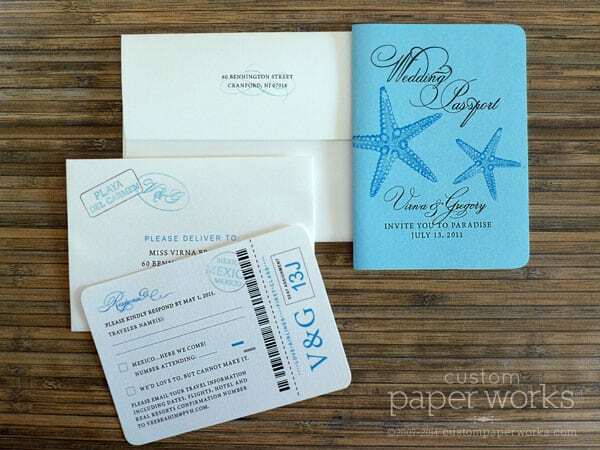 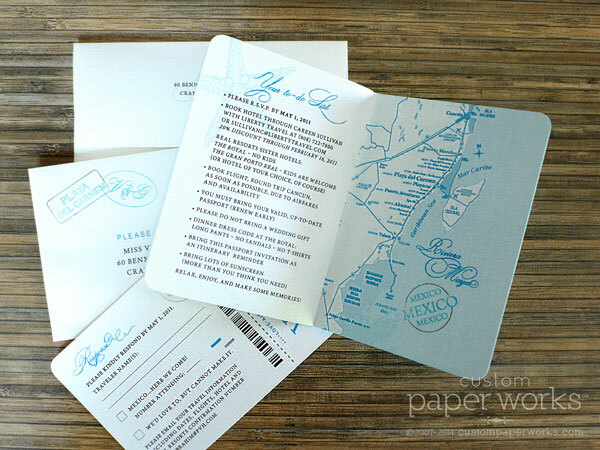 This Custom Paper Works’ starfish passport design features dark aqua ink on Tiffany blue covers and bright white shimmery linen pages AND a gorgeous script font. 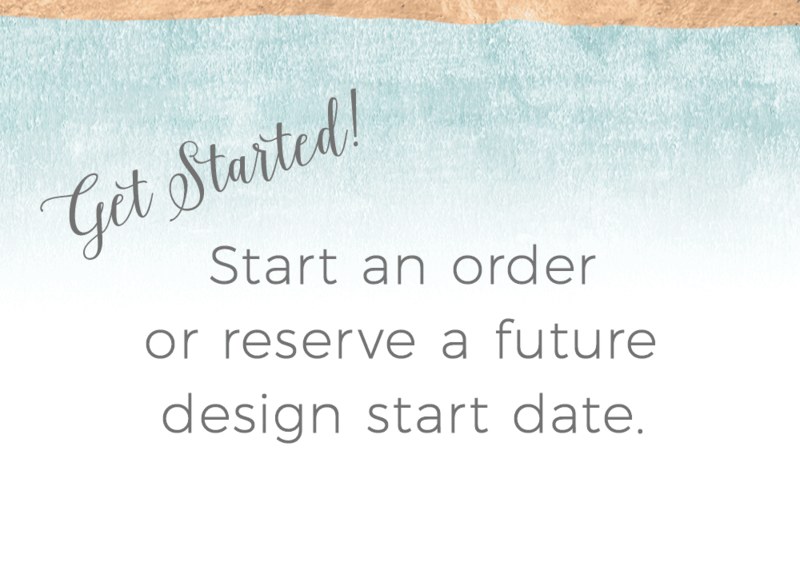 This might just be my favorite version of this style yet because it’s so very formal and classy-looking even with the fun colors and artwork. 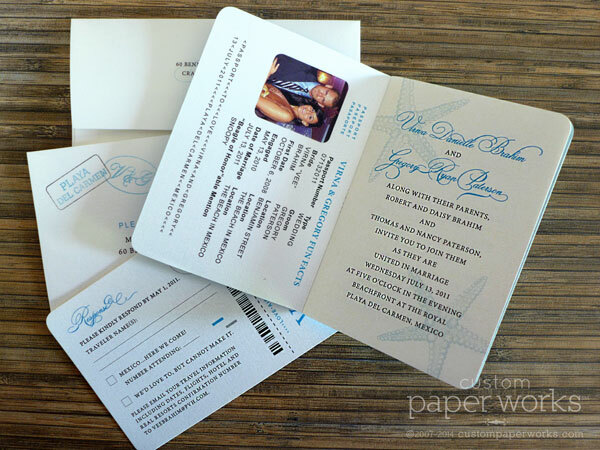 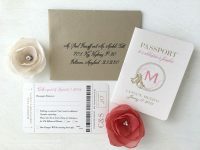 You can see more of our Starfish Passport Wedding Invitations by using the search bar at the bottom of any page, or check out the sortable gallery where you can narrow down ideas based on color or what type of artwork is on the passport cover.